Here’s an article I wrote about carpet making in Nepal. Enjoy. 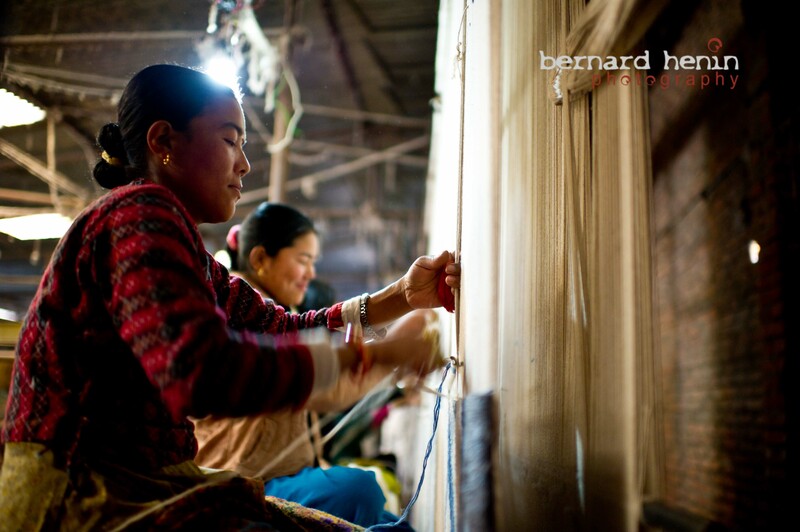 In a spacious workshop situated in Kathmandu, Saraswati Lama inspects the finished carpet. Still attached to the giant loom, the five by ten meters carpet towers over the Nepalese woman. “This is for a hotel in the north of France,” the owner of the workshop explains, using a big pair of scissors for a final trim. The carpet’s modern design is elegant with blue lattices against a white background. 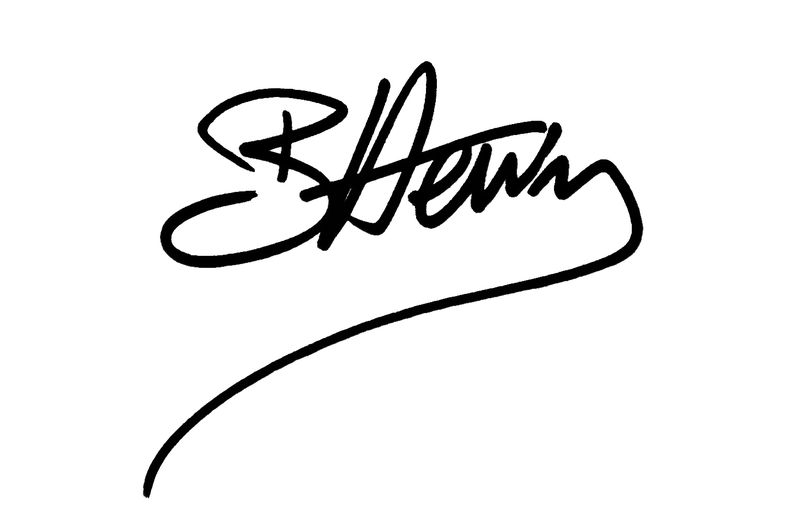 She continues, “It was conceived by a French designer and proposed to us. International clients prefer their own designs over our traditional ones.” Looking satisfied at the finished product, she places the pair of scissors on a small table and steps back. “We’ve just finished it this morning. It required five weavers just over three months to manufacture it,” explains Saraswati with pride. 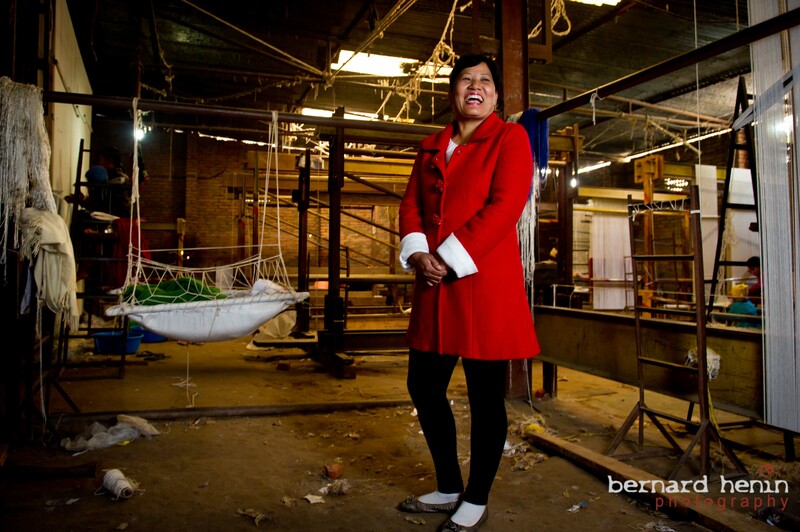 She continues, “Throughout the years we have built strong personal relationships with clients in Europe and North America, which are very satisfying.” Wearing a refined red jacket, this self assured woman demonstrates perfectly the remarkable success story of the Nepalese carpet industry. This story starts in the early sixties. An influx of Tibetan refugees were arriving through the Himalayas and rapidly becoming a major problem for a small developing country like Nepal. International aid was quick to turn up and initiate refugee re-settlement programs. 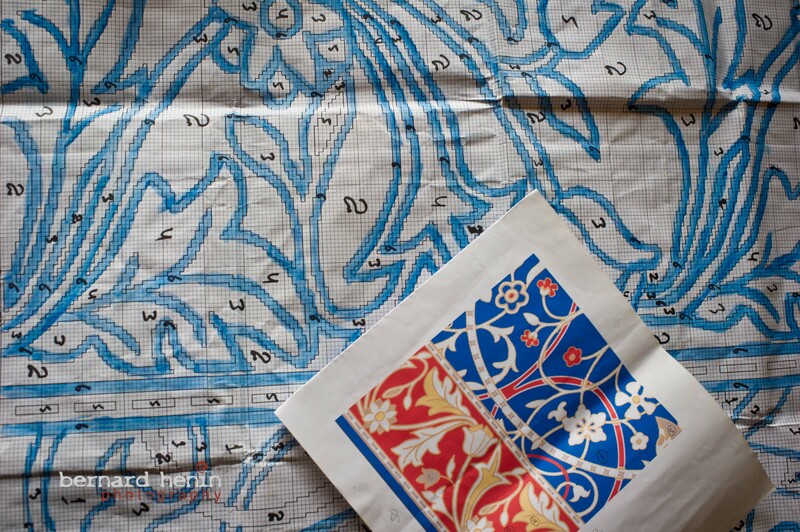 One of these programs, funded by the Swiss government, was to promote carpet manufacturing as a source of livelihood for the refugees. With financial and technical support, the program grew in popularity as the Tibetan refugees embraced the idea. Initially, the carpets were being sold to tourists visiting Nepal. But in 1964, efforts to gain access to the international market paid-off when the first commercial shipment left for Switzerland. From then on international trade blossomed and hundreds of workshops sprung up in Kathmandu, where most of the industry is concentrated. 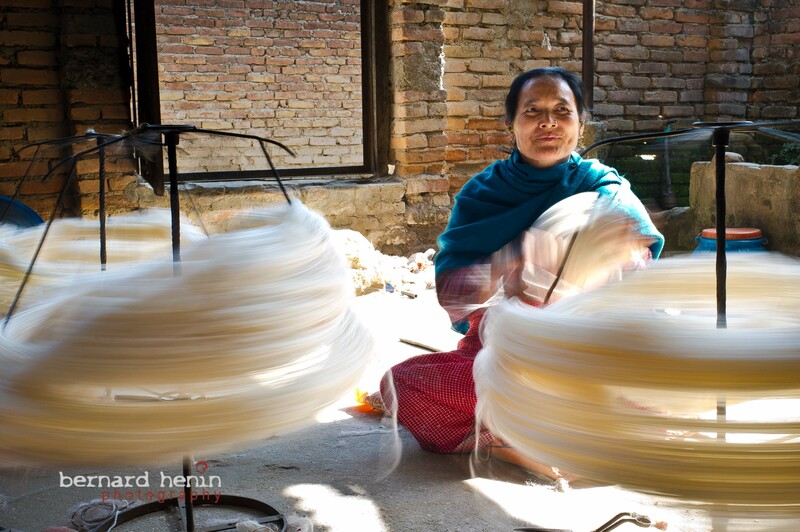 Saraswati’s workshop was set up in the mid nineties and currently employs twenty-five weavers. “We mainly hire Tamang women from the mountains. We house them here in Kathmandu and provide a decent salary that will allow them to help their families back home,” insists the owner, who is from the same community. Tamangs are indigenous inhabitants of the Himalayan region and trace their ancestry to Tibet. Thanks to these close ties with the Tibetan culture, the Nepalese carpet industry benefits from its access to the valuable yak wool imported directly from Tibet. While being coarser than sheep wool, the toughness of the Tibetan yak wool ensures a more durable end product. This can be a decisive factor for a client looking for long-lasting carpets. Another development that has contributed to the success of the Nepalese carpet industry is the introduction of machines in the manufacturing process. Carding and dyeing are now mainly mechanised. This makes a big difference to a workshop like Saraswati’s as carpets are produced faster under better working conditions. 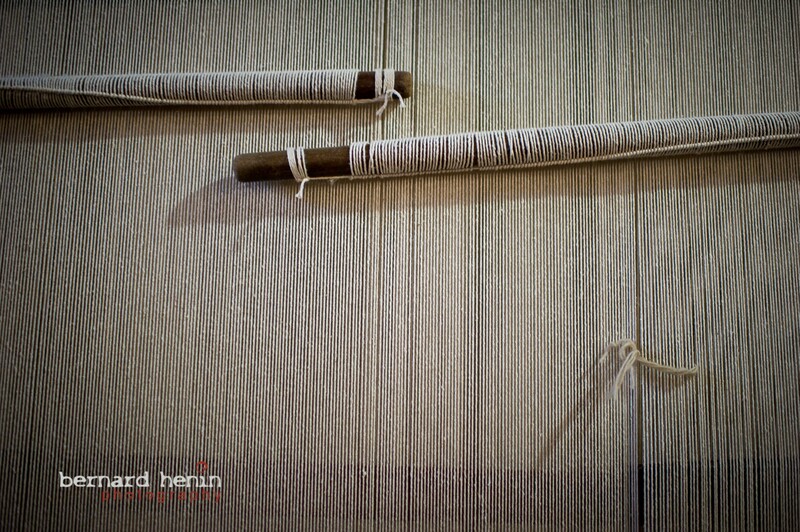 Nevertheless, ancient techniques are still applied such as the spinning of the wool into yarn, which is still done by hand using a spinning wheel commonly known as a Charkha. Back in her office Saraswati drinks from a cup of herbal tea and contemplates the future, “We have started using the internet to promote our services and increase our client base. One thing that we are really excited about is the possibility for anyone to design their own carpet. Now, we can offer services such as having a child’s drawing or personalised statements weaved into a carpet. Growth is difficult to forecast, but we are confident that the world will demand more Nepalese carpets”. 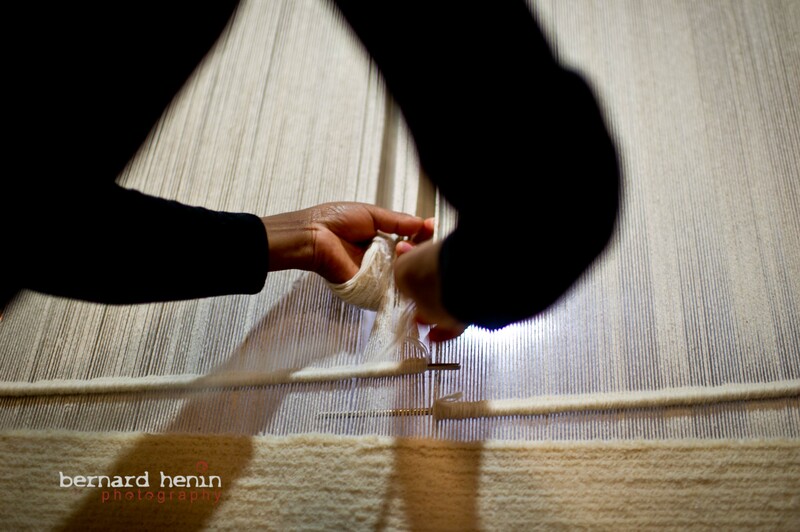 To visit Saraswati’s workshop website, go to http://www.edlucarpet.com. Chouette article et belles photos. Est ce qu’il sera publié? La photo avec l’objectif est superbe. Cela ferait un chouette fond d’écran. Il faudrait te payer pour pouvoir les utiliser! On a pensé à vous hier car on a organisé le traditionnel repas d’anniversaire de Romain. Merci Anne. L’article ne sera pas publie comme tel c’est pour cela que je me permets de le mettre gratuitement sur mon blog. Je vous telephones prochainement concernant Romain.